MANILA, PHILIPPINES — The new ASUS ZenFone 5 line up was announced at the Mobile World Congress 2018, Barcelona, Spain and it brought a lot of hype for ASUS’ come back in the mobile phone space. Putting quality and affordability together fused with AI technology as they aim to create a new breed of smartphones: Intelligent Phones. 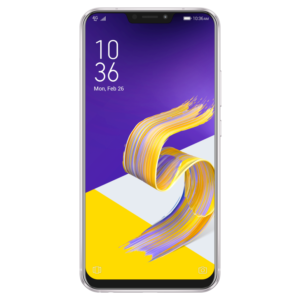 The 2018 ZenFone line up consists of 3 new mobile phones aimed towards a variety of lifestyles: whether you’re a mobile photographer, a casual user, or even a mobile poweruser, the ZenFone 5 series got you covered. ZenFone 5Z also benefits from the Snapdragon X20 Gigabit LTE modem, delivering speed that surpass the gigabit barrier for a ‘wireless fiber’ experience, as well as integrated 2×2 802.11ac Wi-Fi and Bluetooth 5 for ultra-low-power wireless earbuds. The extreme-performance ZenFone 5Z comes with 6GB RAM and 128GB ROM, offering breathtaking performance combined with outstanding energy efficiency for long-lasting battery life. ZenFone 5Z and ZenFone 5 feature intelligent dual-camera systems that adapt and learn, delivering perfect photos every time. Equipped with the latest flagship Sony IMX363 sensor with large 1.4µm pixels, an f/1.8 wide-aperture lens, 120° wide-angle secondary camera, four-axis optical image stabilization (OIS) and AI-enhanced camera features — including AI Scene Detection for 16 different scenes and objects, AI Photo Learning, Real-time Portrait and Real-time Beautification — ZenFone 5Z and ZenFone 5 encourage creativity and free the user to concentrate on the subject rather than the camera. 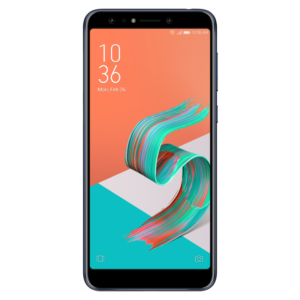 The ZenFone 5Q is a stylish 6-inch smartphone featuring the world’s first globally-announced true quad-camera system with high-resolution and wide-angle cameras at both front and rear. ZenFone 5Q removes the limits on photographic creativity, with a high-resolution main camera — 20MP Sony sensor at the front, 16MP at the rear— and, uniquely, a secondary 120° wide-angle camera at both front and rear. Unlike rival systems, each camera works independently every time for perfect selfies, wefies, landscapes, portraits or groups shots.